During the off-season Ryan Callahan found himself without a contract, and awaiting a possible arbitration hearing with the New York Rangers. A month after avoiding the hearing, Callahan signed a three year contract the day before the hearing was scheduled to take place, the New York native was named the captain of the Rangers. Fast forward to today, Callahan and the Rangers sit atop the Eastern Conference standings, and are considered by some favorites to win the Stanley Cup. 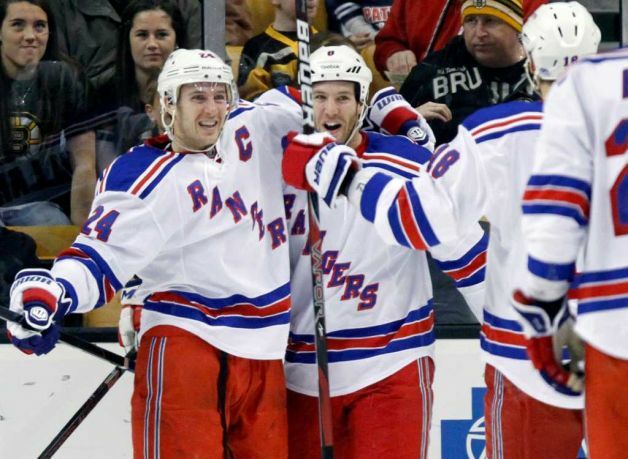 The Rangers' success have mirrored the effort and success of their captain. Callahan has not missed any games this season, he has not played a full 82 game campaign in his career, and is on a pace for a career high 62 points and 34 goals. He has been on fire of late, scoring six goals in his last four games and has recorded six game winning goals this season. But where Callahan gains the respect of his teammates is not always in the points column of the score sheet. Callahan excels and distances himself from the rest in his effort and passion on the ice. Among forwards, Callahan is currently ranked fourth in blocked shots with 61, and tied for second in hits with 198. A team captain, especially a forward, that has that much of a physical presence is hard to come by and a major reason he is respected by so many. The willingness to sacrifice one's body every night in hopes of helping your team grab two points, and inch closer to the ultimate prize is envied in any locker room, and is why the Rangers have instilled so much faith in Callahan. When seeing that effort and drive, one can only hope to give back the same aspiration in tryong of returning the favor and that is what is happening in New York.